If you have an idea for a tool box – we can make it! 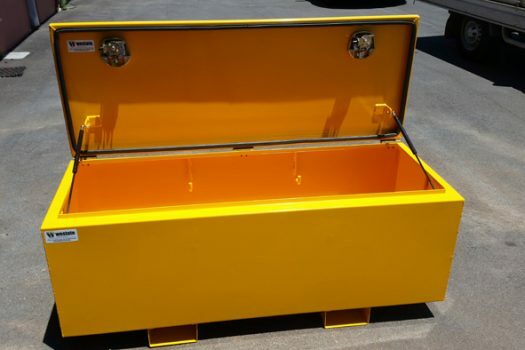 Our custom-made Mine Site toolboxes are perfect for rigging gear, chains and many other mine site tools. Made from Stainless Steel/Mild Steel/Aluminium, our custom toolboxes are robust, sturdy and long-lasting. Their heavy duty construction, unbeatable quality and sturdiness ensures Westate Mining’s Toolboxes are highly respected and sought-after. 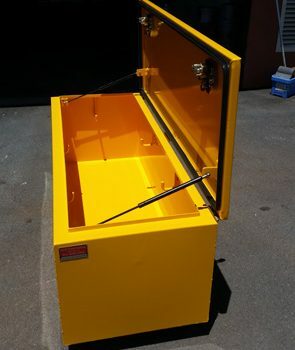 Resilient, weatherproof and tough, these boxes stand up in the harshest environments, which makes them perfectly suited to outback mine site conditions. Find out more about our Custom Made Toolboxes today.